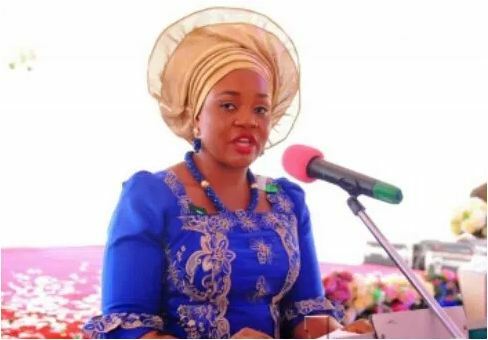 The Eunice Spring of Life Foundation, ESLF, a pet project of the Wife of the Benue State Governor, Dr. Eunice Ortom is to convoke a two day Combined Women and Youth Entrepreneurship Summit to expose participants to entrepreneurship opportunities available in the State. Addressing the media yesterday in Makurdi, the Chairperson of the Central Planning Committee of the summit, Mrs. Gladys Shaahu said the meeting would help youths and women of the state identify challenges and effectively narrow down gender gaps in the face of multiple challenges encountered in effective business operations. This programme aims to assist in meeting the Sustainable Development Goals, SDGs, objective number 5, the ESLF strategic plan of 2016-2021 (objectives 1, 4 & 5) and the Benue State Development Plan, all of which aims at improving the lot of women and youths. “The first Benue Women Economic Summit was held in 2016 with the theme: Promoting the Rise of the Female Economy in Benue State. “This summit was a one-day event that had over 1,000 women who participated, drawn from the 276 Council Wards of the 23 local government areas of Benue State. “The objectives were to create an opportunity for Benue women to share the challenges hampering their access and participation in business. “To forge new partnerships that will scale up successful initiatives that benefit Benue women in business. To initiate dialogue between regulators, financial institutions and the business community on how to create more friendly conditions for Benue women in business. “The achievements recorded includes a follow up to the summit, over 1,700 women were given a 6 weeks training at the Entrepreneur Development Centre, EDC, in Agro-Business Areas of Poultry, Pig Fattening and Produce marketing. Successful trainees have since been accessing soft loans at the Better Life Micro-finance Bank Makurdi, for their businesses.